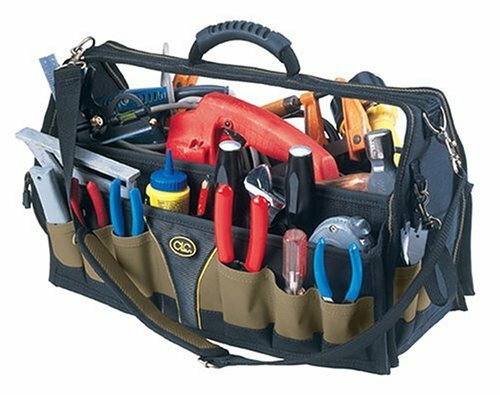 Instead of working on your primary project, what do you usually do? Think about other projects, of course... So I've been working on color schemes and pretty-pretty fluffy stuff for my Eldar to break up my Angels Sanguine painting. I find that keeping something in mind to intersplice a painting effort helps to keep painting burnout just out of arms reach, in theory, at least. As my Eldar are on my back burner as third tier, (after my primary 40K and Fantasy armies, The Angels and My Skartoof OnG Waagh) I am thinking making them all kinds of pretty pretty Eldar style. Of course, this is a great big Adobe web product so its Flash heavy, and it's best to make an account to save your swatches to as well. Plus you can make them public, private, make collections and share them with the world. They also have a downloadable desktop AIR based app. I find that the web one is just fine for me. Here is the Adobe propaganda page and the features explanation. 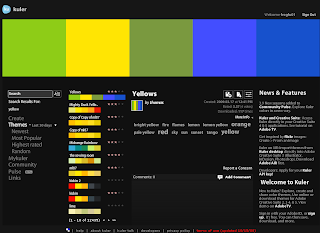 The easiest thing to do is to dig into the swatches created by other users. Searches of Eldar, Space Marines, Harlequin, and Warhammer will bring up tons of ideas. I've seen Tau schemes, Tyranid, Dark Eldar, even Dwarf and High Elf labeled schemes. Just to name a few. 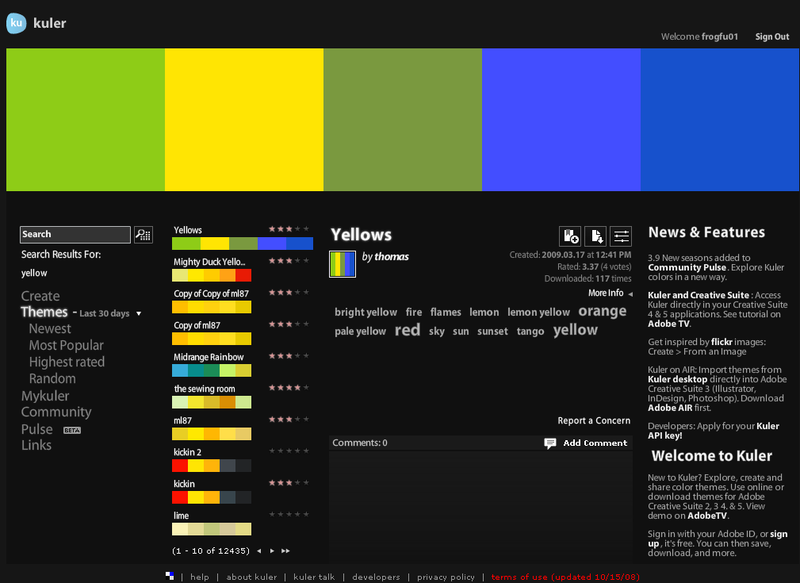 The best way I've seen to search is to pick a theme color and begin there. Like yellow, red, green, etc. Then you can add descriptions like Cool, Warm, Hot, etc. Hot Reds gives you plenty of great Blood Angel tones and hues for example. Of course you have plenty of browsing options as well: 'Random', 'Most Popular', and 'Highest Rated' help narrow down what people are looking at the most. Of course, this is frequented by plenty of graphic designers, artist types and color fanatcs so be sure to check out the related tags and comments to get more ideas. 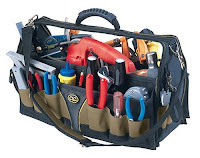 Of course, the main feature you are here for is to create your own. 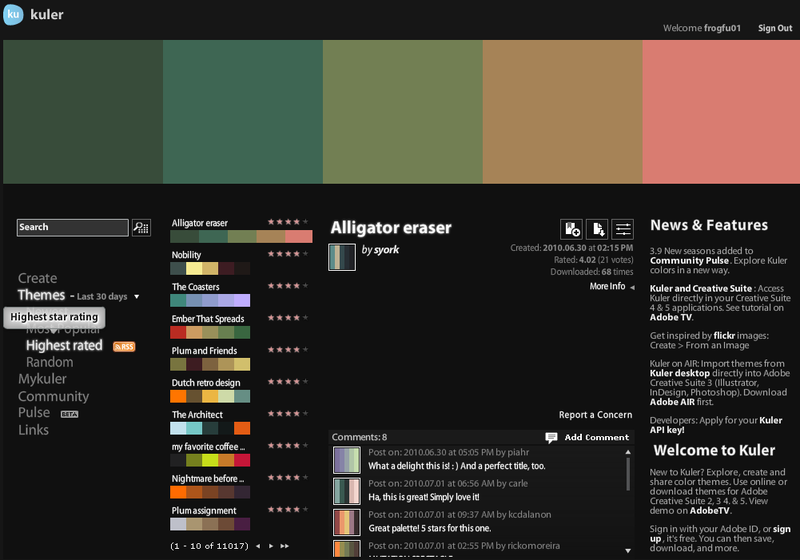 If you log in with an account you can favorite and save any palette you come across. This way you can use the Create link to hop into the real meat of the program, the Editor. 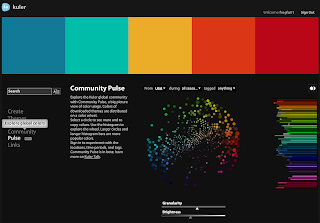 Creating from a color is as easy as picking a main color and picking a color rule. 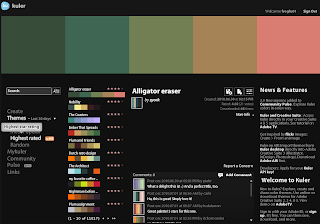 You can use Complementary color rules, Shades, Triadic, Monochromatic, and Analogous rules, to name a few, to populate your swatches. The best way to explore is to simply start hitting buttons and seeing what you can come up with. 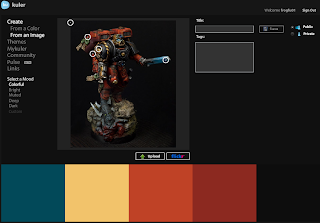 One of the coolest tools in my opinion, is the 'Create From an Image' tool, in the Create menu. 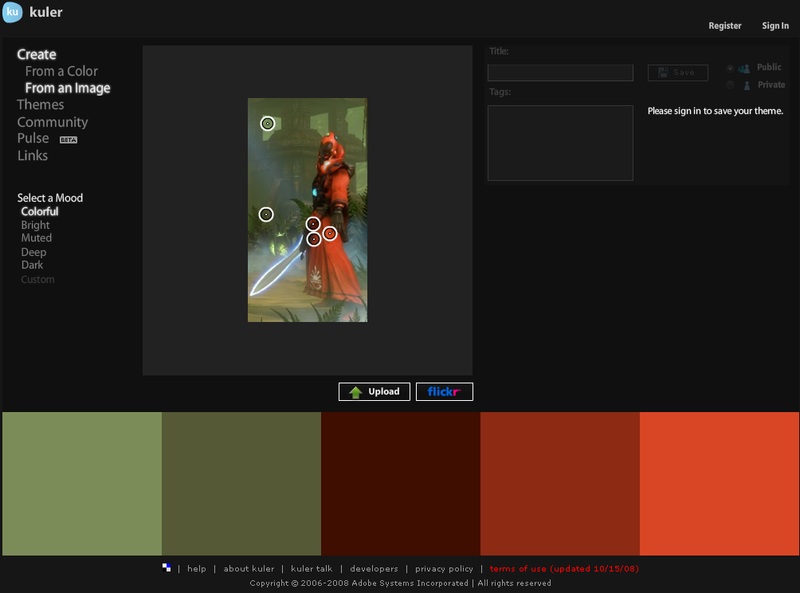 You can upload any image and it will allow you to sample colors from the image. 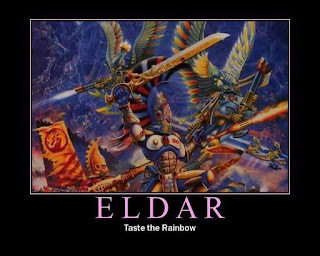 In the example below I was toying with the idea of painitng my Eldar like the Lugganoth Craftworld and found this image on the Lexicanum website. Selecting different moods can alter your pallete drastically and help you explore the colors in a picture. Here is a good example I setup with one of Raffa's (from Massive Voodoo) Blood Angels. Having trouble picking a color? Another cool feature I found I use more and more is the new 'Pulse' tool. 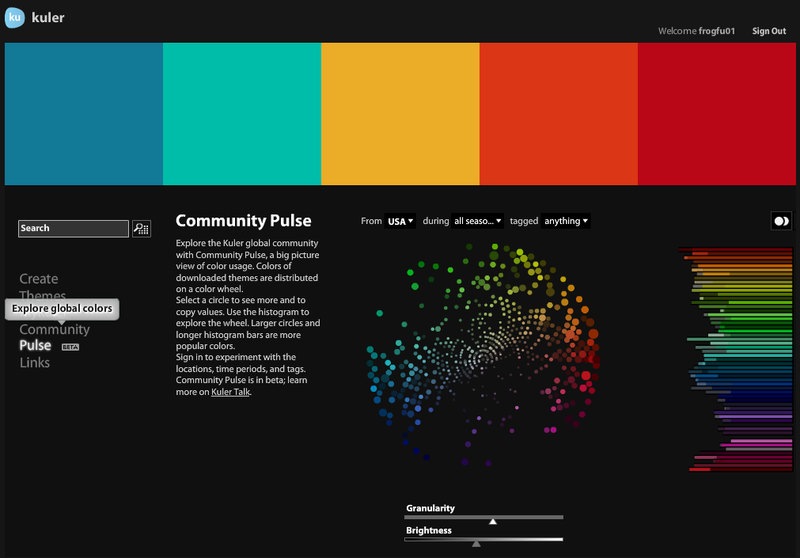 The pulse tool is kind of a cloud map of the colors used most by the userbase. The cool thing is that you can adjust the display by saturation or brightness and pick these colors out and copy them to your clipbard for use in the Creation tool. Now a big perk with Kuler is for the arty type professionals. 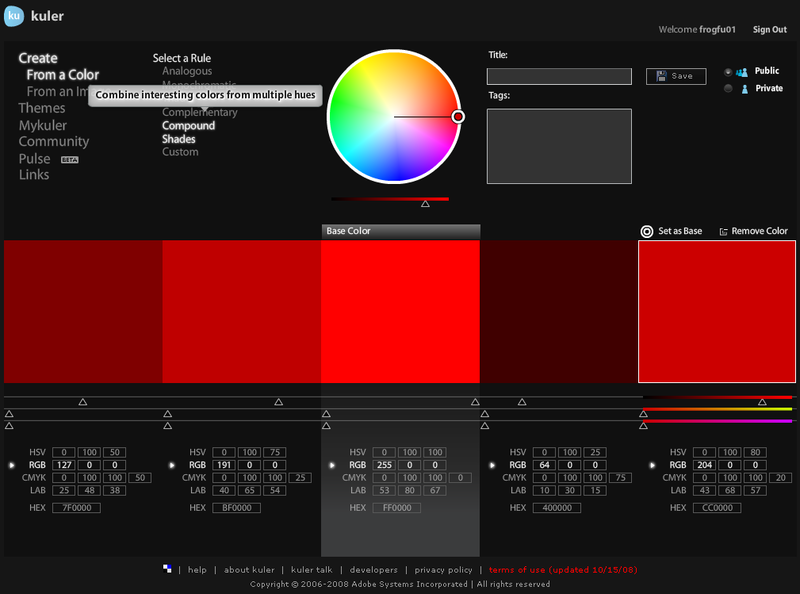 Kuler allows you to export your swatches to adobe files and...hey! ...maybe use them with Decals, or work on matching an awesome pice of art you found, or some Golden Deamon winning army you've found and can't stop drooling over. The biggest asset I belive Kuler gives us painters and modellers is the ability to explore and play with colors. Don't limit yourself to your Citadel or Reaper paint line, envision other colors and schemes for your armies and make your paints go to them, not the other way around. 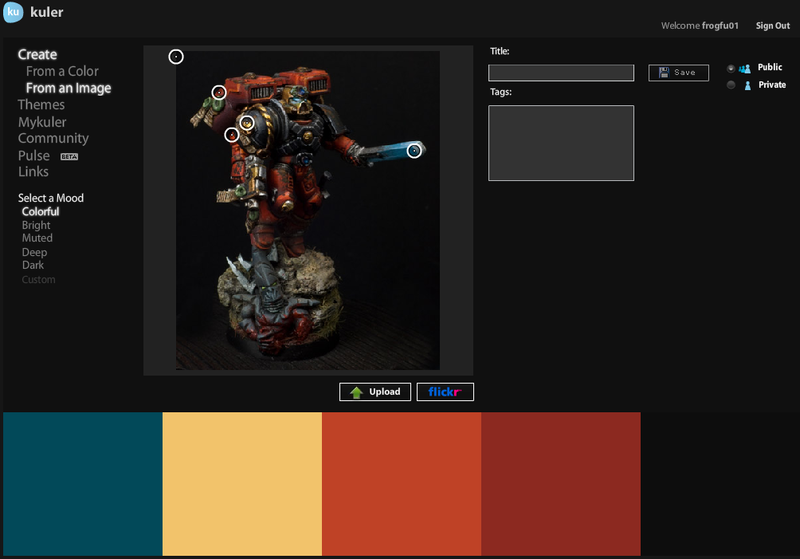 I have been a big nerd when it comes to Colors and paint schemes, hopefully with this tool you can expand your painting ideas and color options.